As 2017 marks the 50th anniversary of the death of the man who still bestrides the music like a colossus, there’s a slew of celebratory and commemorative releases. Coltrane’s most commonly audible legacies today are perhaps his speed, harmonic ingenuity and extreme prolixity - whenever a young sax player takes innumerable choruses at breakneck tempo and unwavering fortissimo, they can justify their artistic choice by pointing to Trane’s legacy, as filtered down via such athletic virtuosi as Joe Henderson and Michael Brecker. Atzmon is a familiar figure on the UK musical landscape, renowned for his forceful playing and equally uncompromisingly assertive personality, and one might have been forgiven for expecting a high-velocity barnstorming shredfest from this offering. Refreshingly, Atzmon and co have taken an entirely different approach to this tribute. A clue is offered by the presence of the Sigamos String Quartet, who collaborated on the well-received ‘Gilad With Strings’ project - another by the tracklisting. Of the eight compositions, only three are by Coltrane himself - ballads predominate over cookers. The album opens with Ellington’s ‘In A Sentimental Mood’ - pianist Harrison replays the motif introduced by Ellington on his collaboration with Trane, rich-toned bassist Stavi takes the first carefully considered solo, and Atzmon’s contribution is an exercise in restraint, simply stating the melody with every note given it’s full weight of conviction and intensity before taking flight in an emotionally charged coda . ‘Invitation’ is taken at a slow, sultry rumba, allowing space for the eastern inflections that characterise Atzmon’s playing, convincingly integrated into the jazz language. The tune showcases the beautifully poised, reflective work from the superb Harrison, a quietly virtuosic player whose unique imagination and lightness of touch deserve to be more widely celebrated. ‘Minor Thing’ is perhaps closest to the usual high-intensity modal Trane tribute, but the rhythm section’s use of space still allows in some air and light, providing an eminently sympathetic environment for Harrison’s particular talents to shine and allowing for a demonstration of how Atzmon remains a unique voice on tenor, his full-bodied tone overlaid with keening, yearning vocalisations that are all his own. 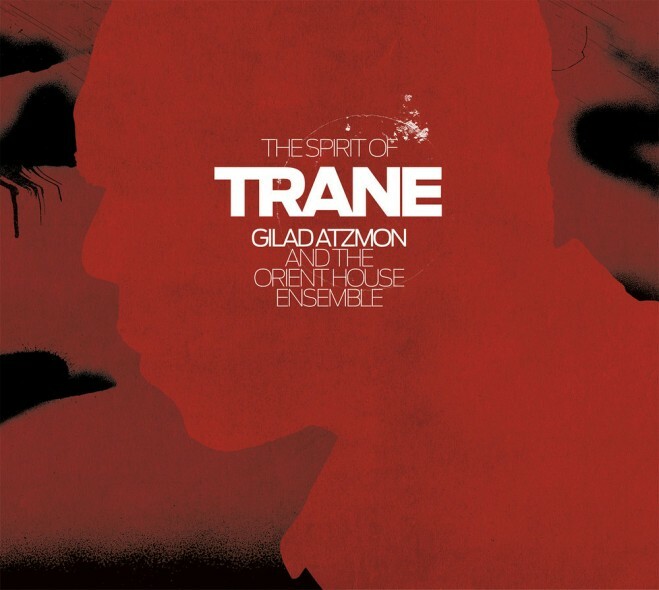 Throughout, Atzmon points towards some less generally recognised aspects of Trane’s output which perhaps come closer to illuminating the spirit of his music; the strings and multi-tracked reeds imply the kind of textural explorations that Trane briefly employed on ‘Africa Brass’ , while ‘Soul Eyes’, the Mal Waldron composition he championed on his eponymous ‘Coltrane’ release in 1962 illustrates his mastery of the ballad. Atzmon confounds expectations again by taking the inevitable ‘Giant Steps’ at an easy lope, with Harrison’s delightful solo introducing a west-coast cool in place of the original hard bop charge before the quirky sign-off, and ‘Blue Trane’’s implacable blues-heavy swing is subverted into a soprano-sax led 7/4. The album closes with a beautiful rendition of ‘Say It Over And Over Again’ - riding on an airy cloud of strings, Atzmon states the melody before handing over to the impeccable Harrison, and only departs from it to construct a posed, melodic final cadenza. This is a really outstanding record that achieves the difficult task of acknowledging the spirit of Trane without being overwhelmed by his legacy - an authentically creative transformation that is a more fitting tribute than a host of imitators. Gilad Atzmon & The OHE will be playing The Spirit of Trane at the 606 Jazz Club, London on Thu 23 Nov.